PDF is much more convenient format for sharing CAD drawings that native AutoCAD DXF, DWF and DWG. 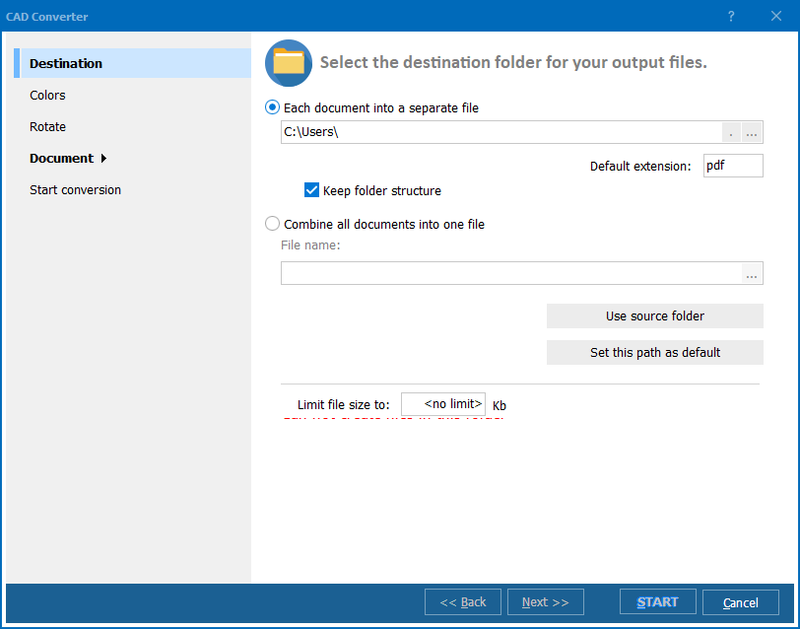 Very few converters support the latest AutoCAD 2013, as this version has updated formats. 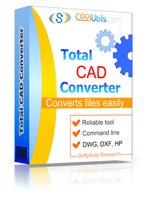 Total CAD Converter is able to convert AutoCAD 2013 files to PDF and automatically adjust converted copies to the style you require. You can also rotate original drawings to get correct orientation in desired PDF copy. 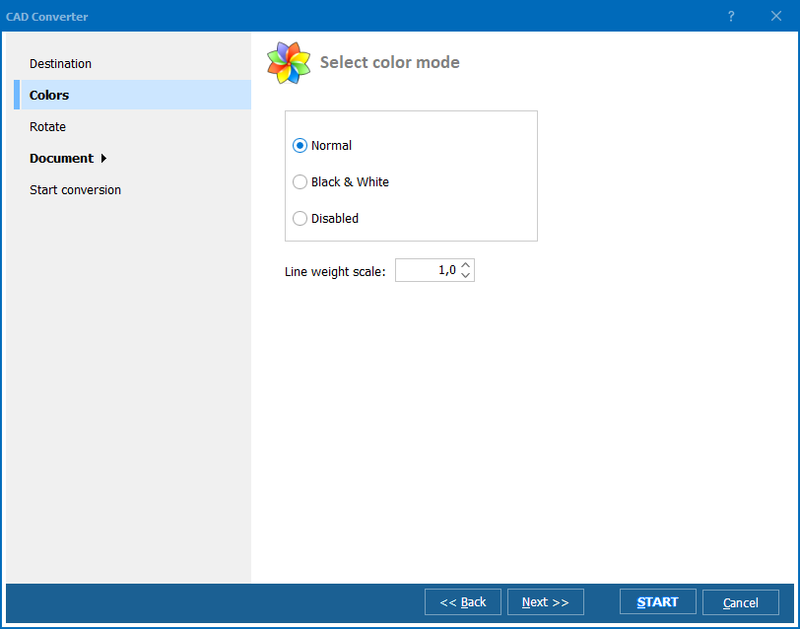 Colors are adjustable too: there is normal palette, black-and-white and disabled palette available. With such CAD converter you don't need any image editors, encoders and other stuff - it does everything you need! If you wish to share PDF copies to public, but need somehow to protect them from unwanted use, watermarks are a good fit. Text watermarks can be put on every page of PDF copies, stating your authorship or any other information. You can setup fonts and position for watermark, and of course type any text you need. 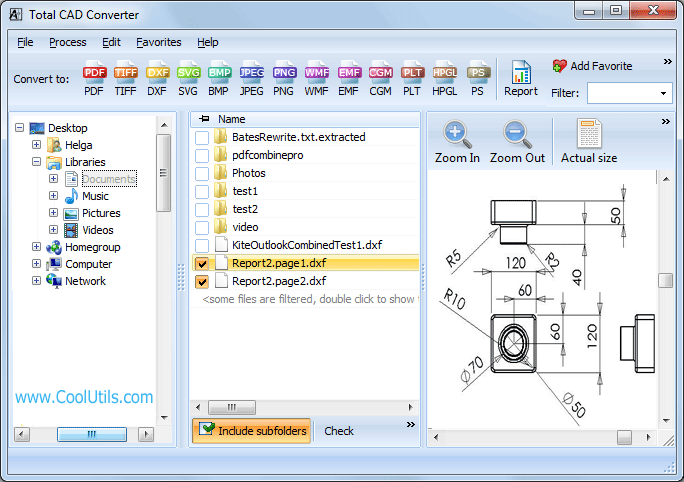 Right now Total CAD Converter is available in a trial version. Download it for 30 days of free use!